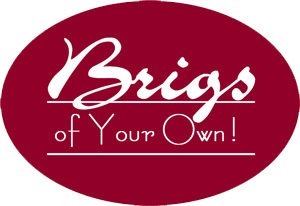 Every Brigs Restaurant is locally owned and operated! The first Brigs Restaurant opened in 1988. Then, in 1994 when a couple of Brigs managers wanted to own their own Brigs Restaurant, Brigs Enterprises, Inc. was founded to expand, manage, and market the concept so that qualified people could own a Brigs Restaurant of their own. Brigs Enterprises is still owned by the couple who opened (and currently own) the very first Brigs Restaurant. Officially, Brigs Enterprises, Inc. franchises Brigs Restaurants, casual/midscale full-service restaurants specializing in brunch entrees, salads, and sandwich platters. Franchise locations are currently available in much of North Carolina. First, we help a franchisee select a suitable location. Each location is carefully evaluated and many sites are rejected. In some cities, a franchisee may be required to open more than one Brigs unit within a given time frame. To upfit the location, we have a detailed list of equipment, furniture, dishes, and utensils, and even help with blueprints and permits. We provide extensive training of the new staff so that every Brigs® location offers the same great food with the same great service. We further train the managers in areas of labor, costs control, sanitation supervision, and guest relations. At least one manager must be ServSafe certified. Each Brigs Restaurant franchisee is entirely responsible for the capital needed to build and open their restaurant. Brigs Enterprises does not offer direct or indirect financing. Recurring expenses include 4% Royalties and 3% Co-op Marketing. Brigs Enterprises works closely with the owners and managers of each Brigs Restaurant to insure a menu that is appropriate for all locations and procedures that are efficient, safe, and consistent. We strive to increase each location’s gross sales and bottom line. Every ingredient that goes into a Brigs meal is specifically chosen first for its quality, then its availability, and finally its price. Volume prices negotiated from prime vendors reduce costs and hassles. Our constant review of ingredients, manufacturers and vendors assures consistent quality, accurate deliveries, and reduced costs. The material on this website is not intended as an offer to sell, or the solicitation of an offer to buy, a Brigs Restaurant franchise. It is for informational purposes only. Offers are made only after delivery of an effective Franchise Offering Circular and current Franchise Agreement in compliance with state and federal laws. Brigs®, Brigs Restaurants®, and the Brigs logo are registered trademarks of Brigs Enterprises, Inc.